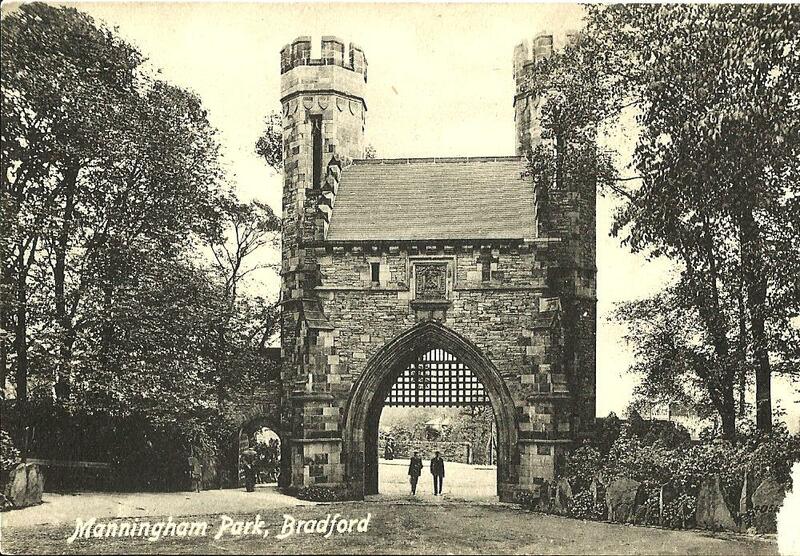 The Norman Arch was designed by Frank Healey in 1883 to commemorate the visit to Bradford of the Edward and Alexandra, the Prince and Princess of Wales. The parapet is decorated with roses and Prince of Wales feathers. 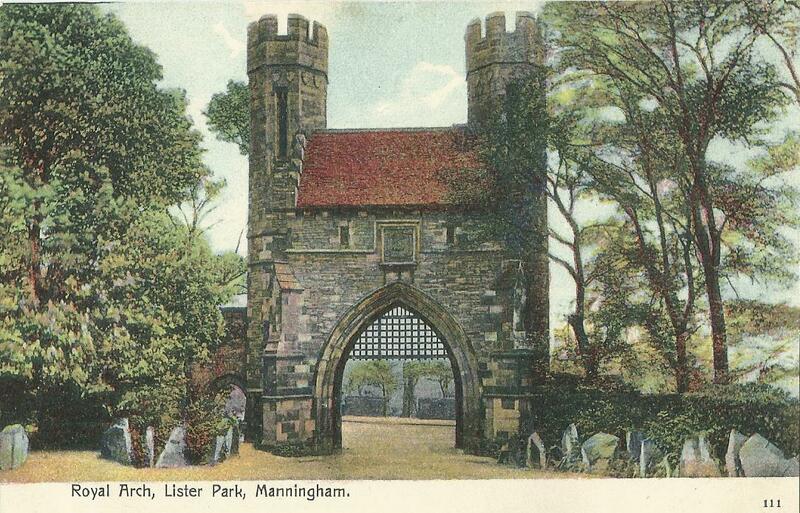 The Norman Arch is the gatehouse to Lister Park, at the junction of Emm Lane and Keighley Road. 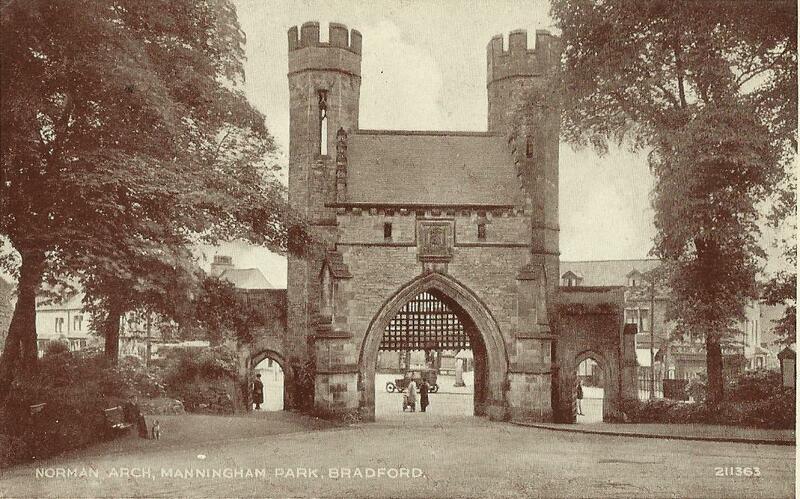 Samuel Cunliffe Lister had inherited land at Manningham in 1853 and sold the land at a low price to Bradford Corporation in 1870 to provide a public park. The Titus Salt Memorial was erected in about 1880 outside Bradford City Hall. 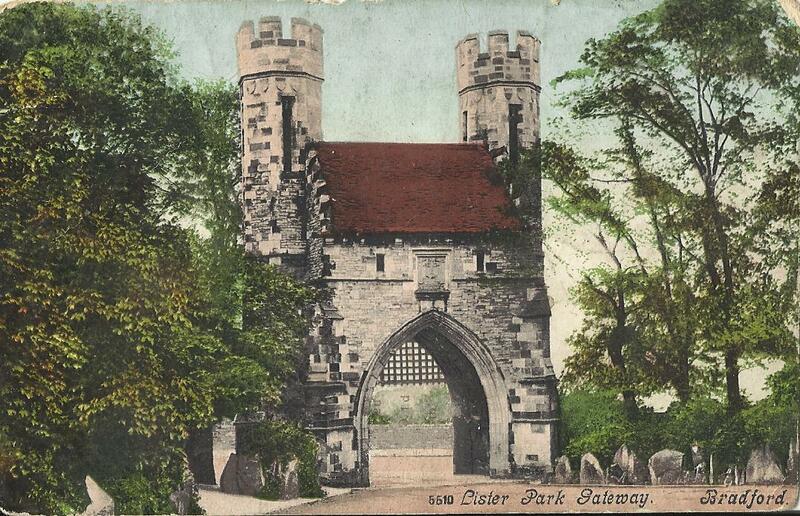 In 1896, it was moved to Lister Park. The monument is a simplified form of the Albert Memorial. It has a seated white marble statue under an ornate sandstone Gothic canopy and statuettes in niches. Polished granite columns rise from a tall stepped granite plinth. It is an octagonal tower, or observatory, two storeys high, which bears the inscription:- 'Not for any merit. Pure, sincere love and esteem caused this tower to be erected to perpetuate to endless ages the memory of Susan, John and Samuel Jobson, upright, honest persons. Erected by Benj. Farrer, A.D. 1828'. 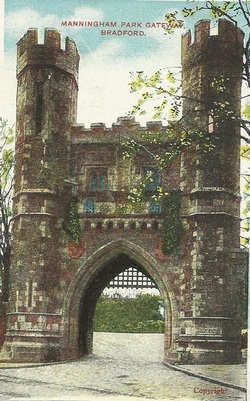 Benjamin Farrer was left a considerable amount of money by the Jobson family and he had the tower built to thank them. It became known as the Spy Tower because children could look down on courting couples. It may have collapsed during a storm, or more likely it was demolished in 1925 because it became unsafe. There is no trace of it today.